The wearables market in India saw the entrance of a new player recently with Xiaom-backed brand Huami officially launching its first products in India late last year. The company launched a bunch of products in India during that initial period and is now looking at expanding its portfolio in India. As you might have already guessed from the title, the product to have launched in India is the Huami Amazfit Verge SmartWatch. The Huami Amazfit Verge comes with a 1.3-inch AMOLED panel that displays a wide range of information ranging from your current heart rate and incoming calls to your messages and emails. This panel also gets a Gorilla Glass 3 layer for added durability. That aside, the watch is also IP68 certified for water and dust resistance. These features aside, the watch also has an inbuilt storage capacity of 4GB of which 2.4GB of space is user accessible. It is powered by a 1.2Ghz low power processor. 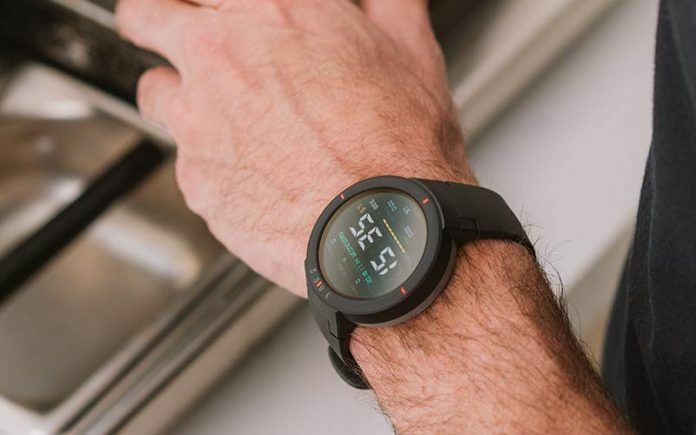 Thanks to Bluetooth connectivity, the watch is also capable of streaming music to Bluetooth headphones. The Amazfit Verge is touted as an integrated fitness solution for the health-conscious consumer by the company. The watch supports all Android devices running Android 4.4 and above and iPhones that run iOS 9.0 and above. Apart from these, the watch supports as many as 11 sports modes and also integrates a GPS chip. This means it is not dependent on a mobile phone to access location-related data. The watch also gets an integrated heart rate sensor and is capable of tracking your daily workout routine in minute detail. It can present you with the distance covered, the time it took you to cover the distance, your average pace, elevation gained or lost and the number of calories you burned as well. The Huami Amazfit Verge also boasts of an AI-assisted voice control mode. The Amazfit Verge runs the company’s own Amazfit OS which is based on Android. It gets as many as 13 watch faces that have been designed by a San Francisco based company – Territory Studio. As mentioned earlier, the Huami Amazfit Verge is now available for purchase from Amazon.in.